Insular Life officers and employees together with the representatives from the Civil Military Operations Group of the Philippine Army and Junior Chambers International during the turnover of Marawi soldiers hyiene kits. Insular Life donated eight hundred seventeen (817) sets of hygiene kits to the Civil- Military Operations Group (CMOG) of the Philippine Army for the use of our soldiers fighting the war in Marawi City. 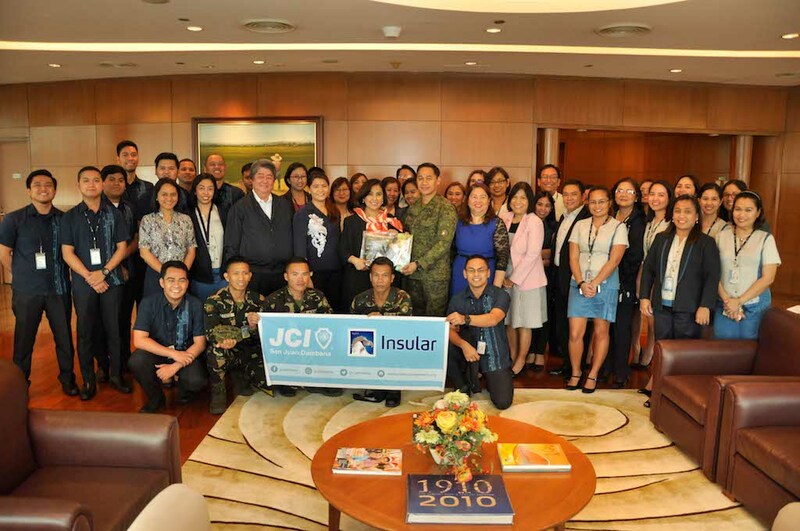 The Philippine Army contingent led by Major Michael Angelo Ramirez, together with the Junior Chamber International President Ms. Janeth Co, went to Insular Life Alabang Head Office in Alabang to personally receive the hygiene kits on July 26, 2017. Insular Life Chief Executive Officer Nina D. Aguas, Insular Life President and Chief Operating Officer Mona Lisa B. Dela Cruz and Insular Life Senior Executive Vice President Jose Alfonso G. Hofilena headed the simple turn over, along with other donor employees. The donation is a show of support of Insular Life employees to our hero troops deployed in Marawi City. A total of P407,000.00 worth of out-of-pocket cash donation from officers and employees was generated through the Adopt-A-Soldier Fund Drive, launched by the Insular Foundation. The proceeds were used to purchase the contents of the hygiene kits. Each hygiene kit set contains two army t-shirts, two pairs combat socks, a face towel, toothbrush, toothpaste, shampoo, shaver, alcohol and bath soap, plus the letters of encouragement personally written by employees, to boost the morale of the soldiers.